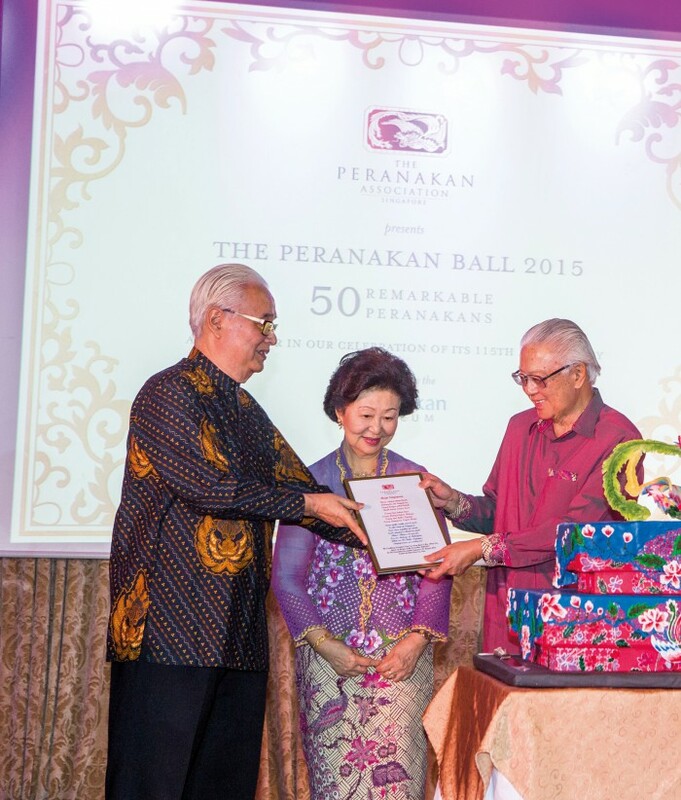 The Peranakan Association marked 115 years as well as SG50 this year at The Peranakan Ball. 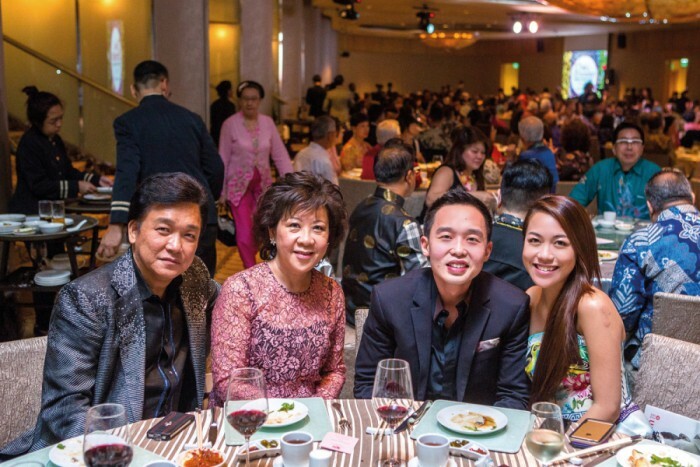 With the support of the Peranakan Museum, this year’s instalment of the annual fundraiser highlighted 50 Remarkable Peranakans, also the theme of the night. 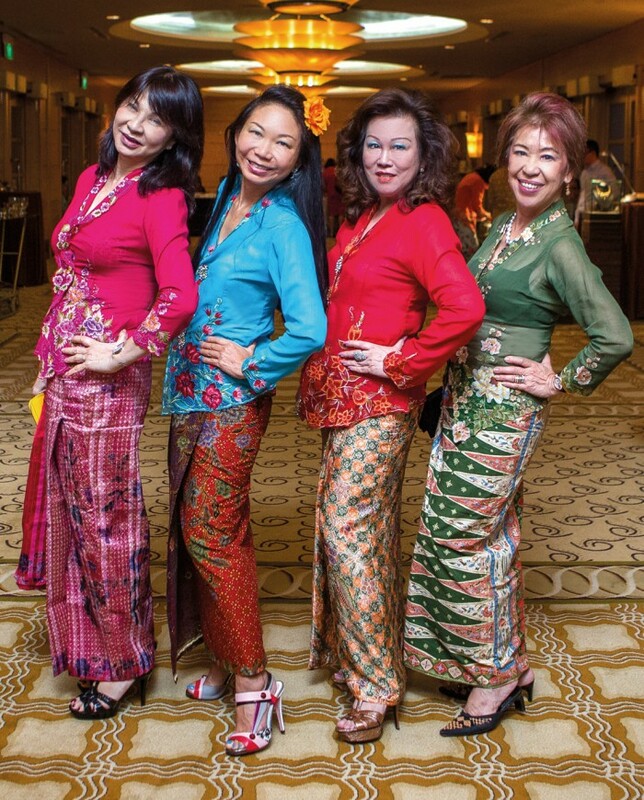 Babas and Bibiks were out in full force in beautiful baju batiks and kebayas, washing The Ballroom of The Fullerton Hotel Singapore in a sea of vivid hues that matched the colourful entertainment that night, including performances by The Peranakan Voices and sneak previews by the casts of Bibiks Behind Bars, Kena Again! and Pintu Pagar. 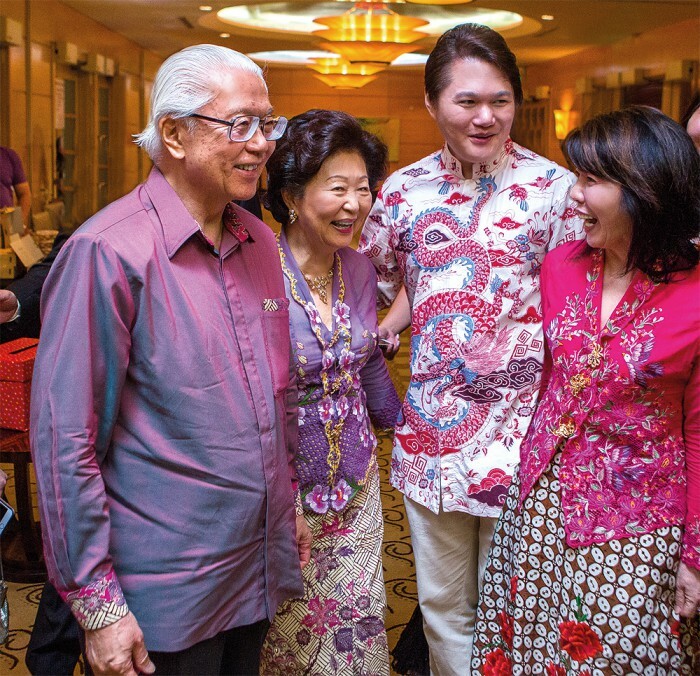 Lawyer and passionate pantun writer Chan Eng Thai read a Baba poem, Maju Singapura, which was presented to guest-of-honour president Tony Tan Keng Yam on stage, following the cutting of an ornate Peranakan-inspired cake by Only Y Designer Cakes. 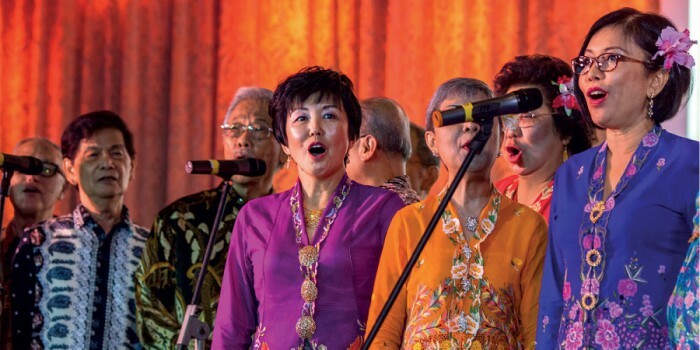 The night also saw veteran Singaporean performers Lim Siauw Chong, Clement Chow, John Lee and Babes Conde taking the audience down memory lane, in addition to a gig by guest singer Ding Mercado. Guests polished off bottles of sambal chilli from Kim Choo’s Kitchen, one of the cultural stalls set up in the foyer for the night, during the eight-course Nonya-inspired dinner. A raffle draw and silent auction, with art by finger painter Adeline Yeo and 2005 UOB Painting of the Year winner Alvin Ong on the block, raised funds for the association. The evening’s tempo was taken up a notch by Stephen Lee and his three-piece band, who lured guests to the dance floor. It wasn’t all joget, but those Peranakans sure had some moves!